1075 Budapest, Dózsa György rd. 66. As time goes by, signs of aging and fatigue appear on you skin, no one is exempt. Skin loses its elasticity and firmness, it becomes thinner and saggy. Hurried lifestyle makes things worse, the skin's microcirculation declines, its tone gets pale and grey, fine lines and wrinkles show up. The good news is that these blemishes can be corrected. 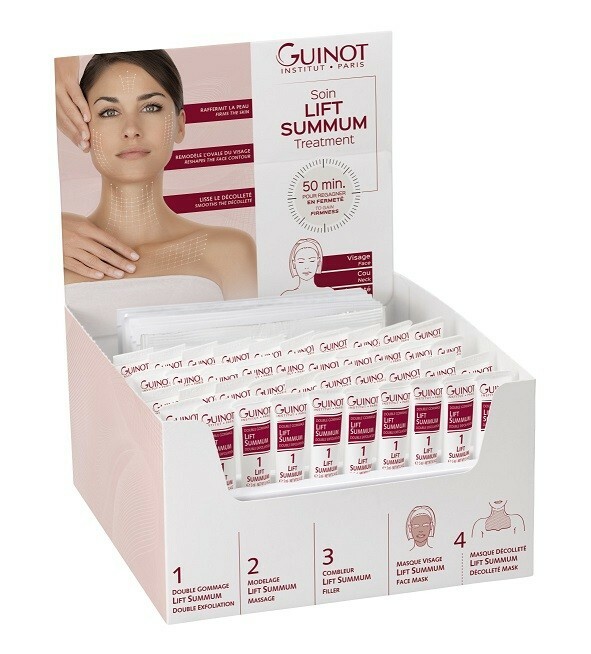 Lift Summum, the new Guinot treatment is now available in our salon. 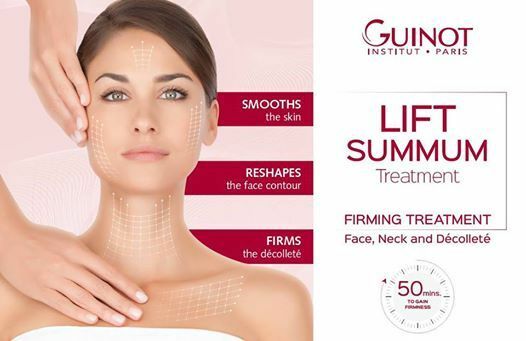 It reshapes your face contour, smoothes out your wrinkles and firms your neck and décolleté just in 50 minutes. As a first step, dead cells are removed by a mechanical, enzymatic and fruit acidic Lift Summum peeling. It prepares the skin to absorb the active ingredients. After that a lifting serum containing algae extract and vitamin C is gently rubbed in your skin to improve cell activity and restore flexibility. That serum supports the production of collagen and hyaluronic acid. The next step is wrinkle filling. Hyaluronic acid and algae extract are ingested with a special Lift Summum filler into the skin, which becomes firmer and more elastic. Finally a Lift Summum mask containing Dynalift, stabilized vitamin C and lifting ingredients is placed on your face, neck and décolleté. Under the mask fine lines smooth out and skin tone becomes more even. Long lasting effect: 1 treatment per week, for 3 weeks. It can be repeated 4-6 times a year. Skin on your face, neck and decollete becomes firmer and more flexible. Wrinkles and fine lines smooth out. Surface of your skin gets more even.